With high temperatures predicted across Western Washington this summer, Seattle Parks and Recreation wants to remind the public about water safety precautions. During the last four years, there were only five days in the month of June when temperatures reached more than 80 degrees. In 2015, June saw at least 15 days with 80+-degree heat. Seattle Parks offers new discount for drop-in swims! Seattle Parks and Recreation is proud to announce the introduction of discounted drop-in swims at its public pools. Beginning in 2015, individuals that qualify based on income and family size will be able to attend a swim session at a discounted rate. In Seattle, a city surrounded by water, swimming is an essential life skill. Access and opportunity to both drop-in programs and swimming lessons are key. By learning to swim, individuals gain life skills, have a reduced risk of drowning death and gain opportunities for new activities. Drop-in swimming programs offer vital opportunities for basic exposure to the water, development of swim skills and personal health. Currently, many discounts are offered based on age, special population needs, prepaid sessions and frequency of use. 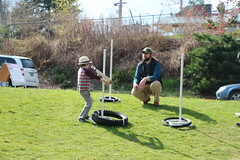 With recent City Council approval, in 2015 Seattle Parks will also begin to offer discounts for drop-in sessions to those who qualify. 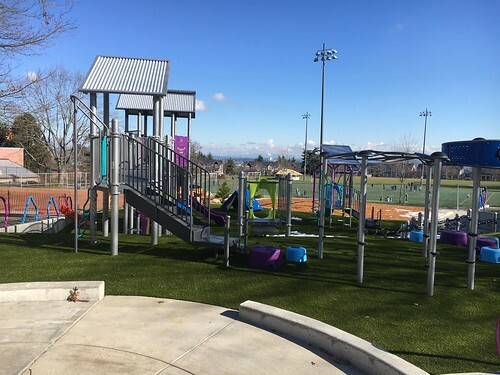 Eligibility will be based on family size and income level in accordance with Seattle Parks established application and approval process. For qualifying individuals, drop-in discount pricing will be $2 for recreational swims such as family swim, public swim or lap swim and $3 for fitness swims such as Water Exercise, Masters, or Swimstrong. In 2014, Seattle Parks staff taught more than 320,000 swimming lessons at swimming pools and lifeguarded beaches. Seattle Parks scholarship process has greatly helped reduce the cost of swimming lessons by offering half-price lessons at pools for those who meet scholarship eligibility. 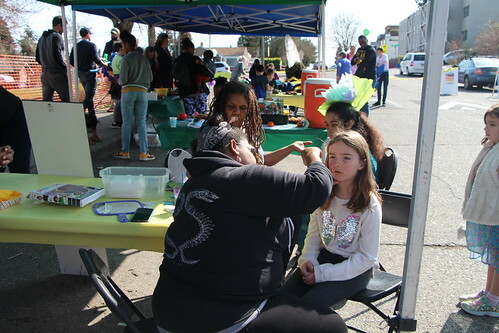 Additional fundraising for supplemental scholarship helps ensure swim lessons are affordable for all through Seattle Parks ongoing partnership with Seattle Children’s Hospital plus many individual donations. Seattle Parks and Recreation is hosting dozens of free and low-cost fall and Halloween activities across the city this month. Put on your scariest costume, perfect your apple bobbing skills, practice your “Boos!” and head out! For event details, please contact the specific location. Call 206-684-7026 for an appointment. When it’s hot, Seattle residents don’t need to go far to cool off. 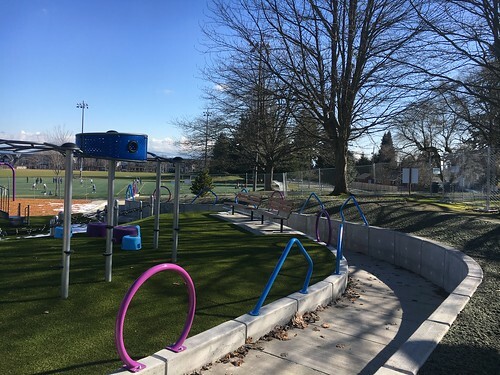 Seattle Parks and Recreation has a long list of places to get cool in the water, including beaches, wading pools and water spray features, and outdoor pools. Parks offers safe, lifeguarded beaches at nine sites around the city, and we strongly recommend swimming only where lifeguards are present. Beaches are open daily, weather permitting, from noon to 7 p.m. weekdays and 11 a.m. to 7 p.m. on Saturdays and Sundays. Amenities range from swim rafts and low and high diving boards to nearby wading pools, play areas, ballfields, and more. 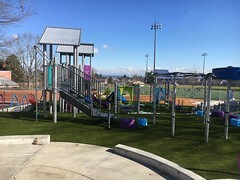 Parks operates two unique outdoor pools for summer fun. Each offers swimming lessons, family swimming, water exercise programs, and special events. And you can rent the whole pool for your own special event! Lowery C. “Pop” Mounger Pool, at 2535 32nd Ave. W, 206-684-4708, is open daily through September 8. Mounger Pool is really two pools in one place. The “big pool” has a 50-foot corkscrew slide and the warmer, shallower “little pool” is great for relaxing and for teaching little ones. Call the pool to reserve it for your own birthday party or other special event! Colman Pool, at 8603 Fauntleroy Way SW, 206-684-7494, opens at noon each day through September 2, and is also open the weekend of September 7 and 8. The pool enjoys a spectacular view of Puget Sound from its prime location on the beach in West Seattle’s Lincoln Park. It features heated salt water and the Giant Tube Slide! SPECIAL NOTE ABOUT COLMAN: Colman Pool is closed to the public through Saturday, June 29, for a scheduled swim meet. It will re-open to the public on Sunday, June 30. Your little ones will love the cool, shallow water and you can cool your own grown-up toes too! We will operate 15 wading pool sites this summer, and there are 10 parks with spray features to enjoy. Please note that the pools take about an hour to fill and drain each day, as required by law. 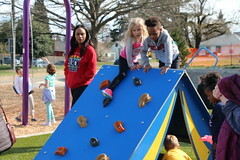 For a more complete listing of fun summer activities in Seattle parks, please visit www.seattle.gov/parks and click on “2013 Summer Guide” on the home page. Warm weather means outdoor birthday parties, cook-outs, family reunions and lots of water play. But those having fun in and around water should always remember safety precautions because of the risk of drowning. To support safe recreation, Seattle Parks and Recreation and Seattle Children’s Hospital have partnered with Mustang Survival and the Coast Guard Auxiliary to offer low-cost life jacket sales at Evans Pool in Green Lake Park. The first of five sales will take place on Saturday, May 18, from 10 a.m. – 2 p.m. Evans Pool is located at 7201 E Green Lake Drive N.
Drowning is the second leading cause of unintentional injury death among children ages 1 – 14 years old. Wearing a life jacket saves lives. Washington state law requires children ages 12 and younger to wear a Coast Guard approved life jacket or life vest on vessels fewer than 19 feet long. There must be a life jacket on board that fits for each person older than 12. The cost for life jackets sizes infant to youth large is $20, and for teens to adult size XXXL, is $30. The life jackets are comfortable, high quality vests in fashion colors. All sales are final. Seattle Parks and Recreation cannot offer refunds or returns. Customers younger than 18 years old must be accompanied by a parent/guardian. Fitters will be on site to help purchasers choose the correct size. The person for whom the jacket is being purchased must be present for proper fitting. Don’t miss this opportunity to purchase a stylish, Coast Guard approved life jacket! For more information, please email Diane Jones, diane.jones@seattle.gov. Seattle Parks and Recreation opens Lowery C. “Pop” Mounger Pool, one of its two outdoor pools, this weekend on Saturday, May 12, 2012 at 1 p.m. for the summer season. Mounger Pool is located in Magnolia, at 2535 32nd Ave. W, and is open daily until September 9, 2012. Mounger Pool is two pools in one place. The “big pool” has a 50-foot corkscrew slide and the warmer, shallower “little pool” is great for relaxing and for teaching little ones. Throughout the summer, Parks will host Friday Family Fun nights from 5:30 – 7:30 p.m. We will feature themed events such as Rock and Roll Party, Outrageous Animal Safari, Art on Deck, and Pirate Pool Party. For more information contact the pool at 206-684-4708 or “like” Lowery C. “Pop” Mounger Pool on Facebook. Seattle Parks’ other outdoor pool is Colman Pool, located in West Seattle. This pool is a heated saltwater pool that features a giant tube slide. The pool opens on Saturday June 30, 2012. Parks is currently working on the pool to provide much needed repairs that will extend the life expectancy of this great facility. We are upgrading the pool deck, pool gutters, and upper section of the pool shell and will install a new plaster lining. Colman pool is located at 8603 Fauntleroy Way SW for more information please contact 206-684-7494. 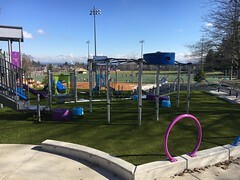 For additional information on other pool facilities, hours, rentals or super deluxe birthday parties please visit http://seattle.gov/parks/pools.asp or contact 206-684-4075.